How to import and edit MKV files in Sony Vegas Pro? Sony Vegas Pro is a professional version of the simplified and efficient editing software. As a PC best entry-level video editing software, the Vegas Pro (14, 13, 12, 11) provides advanced video synthesis, encoding, transition effects, pruning, and animation control. It is a software for people of all ages, as long as you download and try the trial version, you will find that this software is so easy. 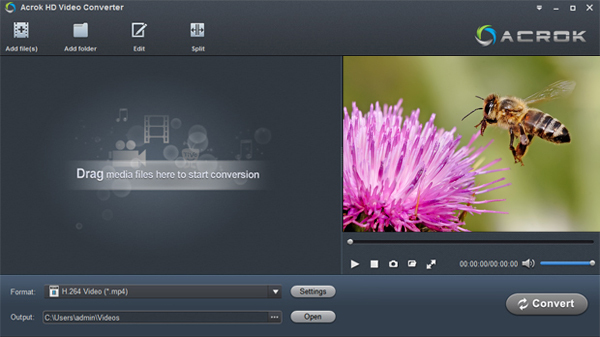 The audio and video editing software with powerful post-processing functions, can be arbitrarily for video footage of subtitle editing, synthesis, adjust the color clips, add special effects operator, also includes a powerful audio processing tools, video footage of the voice recording, add sound, noise processing, and generation Dolby 5.1 surround sound. Of course, there's nothing to be perfect in this world, such as the Sony Vegas Pro is not compatible with all the formats. In fact, it is more than Vegas Pro has such a problem, the other editing software also has the same problem. When you import the MKV format video to Vegas Pro for editing, the software will pop up a window "The software does not support this file import". Why not import MKV video to Sony Vegas Pro for further editing? The follow content will give you a clear answer. MKV is a new type of multimedia packaging format, also known as Container Multimedia. It is different from the DivX, XviD and other video encoding format, but also different from MP3, Ogg and other audio encoding format. MKV is just the "combination" and "encapsulation" format for the audio and video. In other words is a container format, common VOB, MPEG, AVl, RM format is actually this type of. However, these containers are not only in the format of the structure, or not open, this has contributed to the birth of the new multimedia package MKV. The emergence of this package format makes the audio and video files more flexible, it can meet the needs of different users. Soon it will be widely used in digital video, streaming video, multimedia, broadcasting in editing. The Matroska media defines three types of files: MKV is video file. It may also contain audio and subtitles; MKA is single audio file, but may be multiple and various types of track; MKS is the subtitle file. These three files are the most common MKV. MKV is the biggest feature is the ability to accommodate a variety of different types of coding of audio, streaming video and subtitles, even very closed realmedia and QuickTime this kind of streaming media was also it include inside, can say is a great subversion of traditional media formats, almost become a universal media container. It can be a variety of different encoding video and more than 16 different formats of audio and different languages of the subtitles flow into a Media Matroska file. It is because the MKV contains a different video, audio and subtitle format, resulting in a lot of editing software and media players do not support it. Sony Vegas Pro is one of them. Since Sony Vegas Pro can't recognize the video file in MKV format, why don't convert MKV to Sony Vegas Pro compatible format? 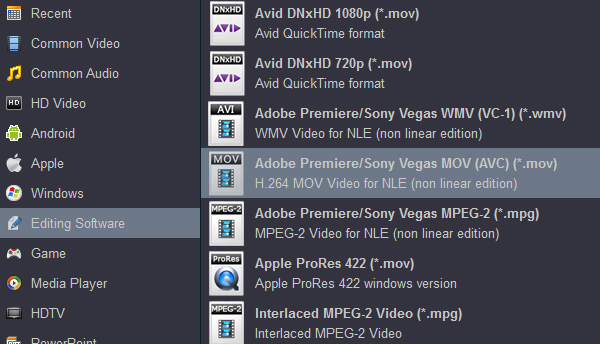 From the Sony official website to understand the MOV, WMV, MP4 and MPG format are the good editing format for Vegas Pro 14, 13, 12,11,10, etc. So we can convert MKV into H.264 MOV, wmv-3/wmv-2 WMV or MPEG-2 MPG video for Sony Vegas Pro via a professional MKV conversion software. Here, Acrok MKV to Sony Vegas Pro Converter is your best choice. You can free download this software from www.acrok.com. Tip: To import MKV video into Adobe Premiere Pro CC/CS6/CS5 for editing, you can transcode MKV to Premiere Pro best editing videos on Mac or Windows via this top MKV Video Converter. How to convert MKV files to Sony Vegas Pro editable format? Tip: For Mac user, the Mac MKV Converter is your best choice to transcode the not supported formats to your editing software editable codec on Mac. Such as convert MXF to ProRes MOV for FCP X, encode MTS to AIC MOV for iMovie/FCE, transcode MKV to H.264 MOV for After Effects, etc. Run this MKV to Sony Vegas Pro 14/13/12/11 Converter on your computer, drag your MKV source into this program. Here, you can choose many output format from this MKV to Vegas Pro Converter. Here we recommend the best options for you. You can find MOV, WMV and MPG profiles under Editing Software category, here "Adobe Premiere/Sony Vegas MOV (AVC) (*.mov)" is your best choice. Tip: If you want to edit your material, you can click on "Edit" icon to trim the loaded MKV file. 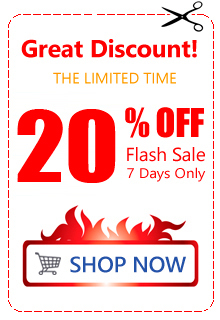 This is a good way to save the conversion time. If you want to get a 3D video, you can add different 3D effects onto the videos, this is based on your needs. This is the most simple step. Just clicking on "Convert" button. Sony Vegas Pro MKV Converter will help you encode MKV to MOV, MPG or other Sony Vegas Pro editable format immediately. When the MKV conversion is done. You need to click "Open" button to locate the converted video files. Now, you can import and edit the converted MKV videos in Sony Vegas Pro 14, 13, 12 and 11 without any problem. Acrok HD Video Converter is a powerfull program to get all your video's in a few steps converted. I bought this so I convert my Home and Away videos to MOV and save them to the Seagate 500GB Wireless Mobile Storage (Red) then play them on my Surface Pro. Very easy.